PS- Published with kind permission from the patient. 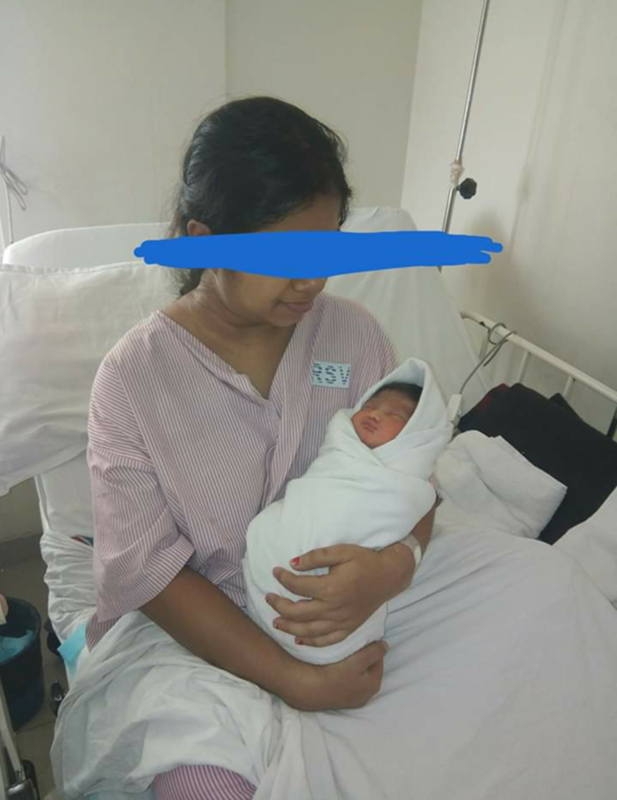 She was referred to us by our Colleague from Chandannagar, as she required delivery at NICU Set Up. Young lady had Hypertension (high Blood Pressure- BP) diagnosed before pregnancy ("Chronic Hypertension") but she was not taking medicines properly. She did not visit the Gynaecologist before pregnancy. She visited the Gynaecologist at 16 week of pregnancy for the first time. The doctor did all the tests (blood, urine, Ultrasound) that are needed in a pregnant woman with high BP and started medicines to lower BP. The diagnosis of Preeclampsia (PE) was made. Initially everything went well. Baby's growth was also satisfactory. But from 34 weeks BP started to rise and could not be controlled even with 2 medicines within 2 weeks. So, the doctor, in right manner, gave her Steroid Injection (to promote lung maturity of the baby) and sent the lady to us for urgent delivery in NICU set up, as the baby was premature (36 week). We examined the lady, checked all previous records, and tested blood for some tests, continued medicines to lower BP and informed our team. Our expert Neonatologist and Anaesthetists (Dr Arun Senapati, Dr Chandan Pal) agreed to deliver the baby at night (11 PM) as EMERGENCY, after explanation of high risk for mother and baby. We booked beds in ICU for the mother and in NICU for the baby. Delivery was done by Caesarean Section. There was increased bleeding which was managed by injection. The baby had breathing troubles, so was sent to SCBU. Baby was taken care of by our expert Neonatologist Dr Lokesh Pande and then shifted to the ward after 2 days. However, NICU was not needed. However, mother's BP was still uncontrolled. So we administered Injection Magnesium Sulphate to reduce the risk of Eclampsia. (Eclampsia carries high risk of maternal mortality). Antihypertensive was added and Medicine Specialist was consulted. However, there was no other symptoms for severe Preeclampsia. Now mother and baby both are discharged in stable condition. What ideally we can do if a lady with Chronic Hypertension visits us before pregnancy? 1. With consultation with the Cardiologist we can put her on medicines (to lower BP) that are SAFE in pregnancy. 2. She must control her BP well before pregnancy (BP must be below 150/100 mm Hg). 3. Function of kidney, heart, retina must be checked, because these organs are affected in Chronic Hypertension. 4. Attempt should be made to find out the cause of Chronic Hypertension. 5. To start tablet Aspirin in low dose from Early Pregnancy to reduce the risk of Preeclampsia and other complications of Chronic Hypertension. 6. Regular BP check up before and during pregnancy. 7. Weight Control before Pregnancy. What are the Complications of Chronic Hypertension in Pregnancy? Pre-Eclampsia (PE)- Here high BP is associated with loss of protein in urine. It can affect mother and baby (inadequate growth, premature delivery and death). In severe PE mother's organs are affected like brain (Eclampsia- type of Convulsion, Stroke, Brain Haemorrhage), heart (failure), eye (blindness), lungs (fluid accumulation- "Pulmonary Oedema"), liver (elevated enzymes, liver rupture, failure), kidneys (failure, stoppage of urine flow), blood (damage of blood cells reading to anaemia, low platelets leading to bleeding) and clotting function ("Thrombosis"). These may require ICU care, Ventilation, Dialysis and of course Urgent Delivery. All these can lead to DEATH of the mother before, during and after delivery. What is the treatment for Hypertension in Pregnancy? VI) Asking the mother to report any DANGER SIGNS (Signs of Severe PE) - Headache, Visual Problems, Breathlessness, Vomiting, Pain in Upper Abdomen, Bleeding and Scanty Urine Production. DELIVERY IS THE ONLY TREATMENT FOR PE. As babies are often premature, delivery must be done at NICU Set up. BP should be controlled after delivery.